Located a half-hour drive from the Gulf of Mexico port town of Progreso, Mérida is sometimes nicknamed La Ciudad Blanca — the White City — for the ubiquitous local white limestone used as building material. Today, the cobblestone streetscapes of the historic center are more akin to a candy store, with the facades of restored Spanish Colonial casas painted in vivid blues, oranges, and pinks. Plaza Grande is the main tourist hub in Progreso. Lined with grand historic buildings and frequented by hammock sellers, street food vendors, and flower-festooned horses and buggies, there’s always plenty of energy here, but it’s also worth venturing slightly farther afield to wander the tree-lined Paseo de Montejo — an elegant avenue inspired by the Champs-Elysees that’s home to jaw-dropping beaux arts mansions. Don't leave town without trying a panucho. Breakfast: La Chaya Maya – Sample the unique flavors of Yucatecan cuisine at the city’s best venue for traditional breakfast fuel. We recommend the huevos motulenos, a hearty dish — of fried eggs on tortillas with a sauce of tomato, ham, peas, and black beans — that hails from the nearby town of Motul. Lunch: Parque Santa Ana – With its postcard-perfect 16th-century church and rows of loncherias (al fresco eateries with plastic tables and chairs beneath bright awnings), this park is the perfect casual lunch spot. Ask for a local drink, such as Jamaica (made from steeped hibiscus flowers) or horchata (a creamy rice drink spiked with cinnamon). 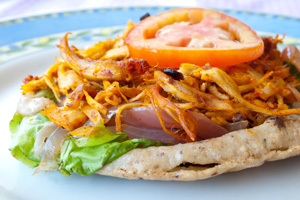 Then bite into panuchos, delicious bean-stuffed fried tortillas topped with shredded chicken or turkey, avocado, and pickled onions. Dinner: Rosas & Xocolate – Experience sublime Yucatecan fusion dishes like octopus ceviche with nopales, sour orange, and a habanero sorbet or linguine with pork belly and cacao nibs at this boutique hotel on Paseo de Montejo — which has one of the best dining rooms in town. Dessert: Dulceria y Sorbeteria Colon – At this shop on Paseo de Montejo, you can sample Italian-style sorbets and ice creams in unusual seasonal flavors, such as jackfruit, tamarind, or sapote — an aromatic tropical fruit. Tip: Love street food but nervous about tackling the town solo? Join a “Street Eats” class hosted by Los Dos, a much-feted cooking school run by former New Yorker and Yucatecan cuisine authority David Sterling. The chef leads groups to some of the city’s best food stalls, where you can sample all manner of traditional snacks while learning about this region’s fascinating culinary culture. 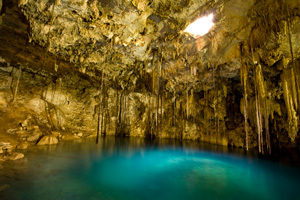 Swim in a cenote, a pool in an underground cavern. For Everyone: Plaza Grande – This square is also known as the zocalo, after Mexico City’s famous square, and it offers a wonderful primer on Merida’s multilayered history. 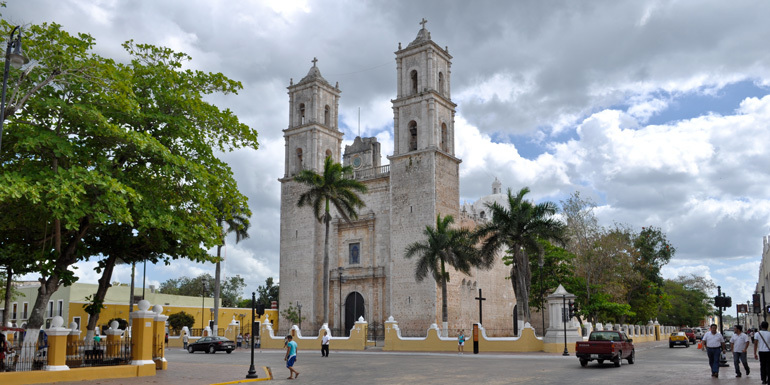 Start at the imposing Cathedral of San Ildefonso on the east side of the plaza: Built in 1561, this is the second oldest cathedral in the Americas. Poke around in the elegant Casa de Montejo, where the city’s conqueror, Francisco de Montejo, resided from 1542, then marvel at the incredible murals decorating the walls of the Palacio de Gobierno, depicting the Yucatan’s dramatic and often bloody history. For Couples: Carriage rides – Cheesy? Kind of. Fun? Por supuesto! Take a leisurely carriage ride around the city in one of the horse-drawn buggies that wait around the plaza for passengers. It looks touristy, but this is a pastime beloved by visitors and love-struck locals alike. For Families: Parque Zoologico del Centenario – This free urban zoo, which dates back to 1910, feels like a throwback to a gentler time. Meridanos with overexcited kids flock here for everything from a miniature train to stalls selling cotton candy. The exhibits house exotic birds, primates, hippos, white tigers, and the rarely glimpsed jaguar, a majestic big cat that once roamed the Yucatan. For the Adventurous: Cenote Xlacah – Cool off with a swim in a cenote, one of the many limestone sinkholes that form the Yucatan’s underground river system. This one is in the puebla of Dzibilchaltun, about halfway between Progreso and Merida, and is located within an archeological site that also contains Mayan ruins. Tip: While the centro historico is largely walkable, the Yucatan’s year-round heat can prove taxing. Taxis are affordable and reliable, and the city is laid out on a grid, so even if your Español is lacking, a written address will get you where you need to go. Merida is renowned as one of the safest cities in Mexico. Many locals even leave their car doors unlocked, which means this is a destination where you’ll feel comfortable wandering around without feeling like a target. What do you like to do in Mérida?